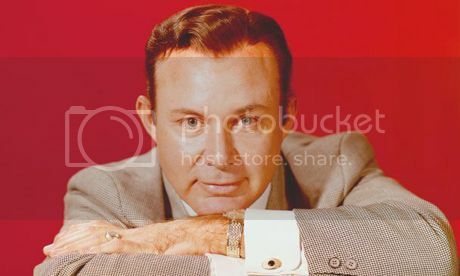 Gentleman Jim Reeves was perhaps the biggest male star to emerge from the Nashville sound. His mellow baritone voice and muted velvet orchestration combined to create a sound that echoed around his world and has lasted to this day. Detractors will call the sound country-pop (or plain pop), but none can argue against the large audience that loves this music. Reeves was capable of singing hard country ("Mexican Joe" went to #1 in 1953), but he made his greatest impact as a country-pop crooner. From 1955 through 1969, Reeves was consistently in the country and pop charts - an amazing fact in light of his untimely death in an airplane accident in 1964. Not only was he a presence in the American charts, but he became country music's foremost international ambassador and, if anything, was even more popular in Europe and Britain than in his native America. After his death, his fan base didn't diminish at all, and several of his posthumous hits actually outsold his earlier singles; no less than six number one singles arrived in the three years following his burial. In fact, during the '70s and '80s, he continued to have hits with both unreleased material and electronic duets like "Take Me in Your Arms and Hold Me" with Deborah Allen and "Have You Ever Been Lonely?" 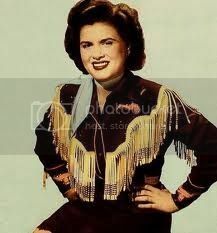 with his smooth-singing female counterpart of the plush Nashville sound, Patsy Cline, who also perished in an airplane crash, in 1963. But Reeves' legacy remains with lush country - pop singles like "Four Walls" (1957) and "He'll Have to Go" (1959), which defined both his style and an entire era of country music. For the next few years, Reeves went through a number of blue - collar jobs while trying to decide on a profession. During this time he began singing as an amateur, appearing both as a solo artist and as the frontman for Moon Mullican's band. In 1949, Reeves cut a number of songs for the small independent Macy label, none of which were particularly successful. In the early '50s, Reeves decided that he would make broadcasting his vocation, initially working for KSIG in Gladewater, TX, before establishing himself at KGRI in Henderson. Over the next few years, Reeves was a disc jockey and newscaster at KGRI, moving to KWKH in Shreveport, LA, in November of 1952, becoming host of the popular Louisiana Hayride. Late in 1952, Hank Williams failed to make an appearance on the show, and Reeves sang in his place. His performance was enthusiastically received, and Abbott Records immediately signed him to a record contract. "Mexican Joe" was Reeves' debut single for Abbott, and it quickly climbed to number one in the spring of 1953, spending nine weeks at the top of the charts. It was followed by another number one hit, "Bimbo", later in 1953, establishing that Reeves was not a one-hit wonder; later that same year, he was made a full-time member of the Louisiana Hayride. During 1954 and 1955, he had four other hit singles for Abbott and its parent company, Fabor, before RCA signed him to a long-term deal in 1955; that same year, he joined the Grand Ole Opry. At RCA, Reeves began to develop the distinctively smooth, lush, and pop-oriented style of country that made him a superstar and earned him the nickname Gentleman Jim. Peaking at number four, "Yonder Comes a Sucker" was his first Top Ten hit for RCA in the summer of 1955. It kicked off a remarkable streak of 40 hit singles, most of which charted in the Top Ten. Many of his singles also became pop crossovers, which indicates exactly how much of a pop influence there was on his music. Indeed, Reeves' vocal style derived from the crooning of Frank Sinatra and Bing Crosby, and early in his career he abandoned cowboy outfits for upscale suits. In the process, he brought country music to a new, urban audience. Throughout the '50s and early '60s, Reeves racked up a number of major hits and country classics like "Four Walls" (#1 for eight weeks, 1957), "Anna Marie" (1958), "Blue Boy" (#2, 1958), "Billy Bayou" (#1 for five weeks, 1959), "He'll Have to Go" (#1 for 14 weeks, 1960), "Adios Amigo" (#2 1962), "Welcome to My World" (#2, 1964), and "I Guess I'm Crazy" (#1 for seven weeks, 1964). "Four Walls" was the turning point in his career, proving to both Reeves himself and his producer, Chet Atkins, that his main source of success would come from ballads. As a result, Reeves became an even bigger star, not only in America but throughout the world. Reeves toured Europe and South Africa, building a strong following in countries that rarely had been open to country music in the past. Reeves was at the height of his career when his private plane crashed outside of Nashville on July 31, 1964. The bodies of Reeves and his manager, Dean Manuel, were found two days later and were buried in his homestate of Texas. Though Reeves had died, his popularity did not vanish - in fact, his sales increased following his death. Throughout the late '60s, RCA released a series of posthumous singles, many of which - including "This Is It" (1965), "Is It Really Over?" (1965), "Distant Drums" (1966), and "I Won't Come in While He's There" (1967) - hit #1. The previously unissued songs were frequently mixed in with previously released material on album releases, making his catalog confusing but profitable for RCA. The flow of unreleased Reeves material did not cease during the '70s or '80s - in fact, there wasn't a year between 1970 and 1984 when there wasn't a Reeves single in the charts, either at the top or in the lower regions. Reeves was inducted into the Country Music Hall of Fame in 1967, and two years later, the Academy of Country Music instituted the Jim Reeves Memorial Award. Though the flood of unreleased material ceased in the mid-'80s, the cult surrounding Reeves never declined, and in the '90s, Bear Family released Welcome to My World, a 16-disc box set containing his entire recorded works. Thanks to David Vinopal & Jim Reeves.com.